Fabricated of brass with a chrome finish. Exposed mounting. 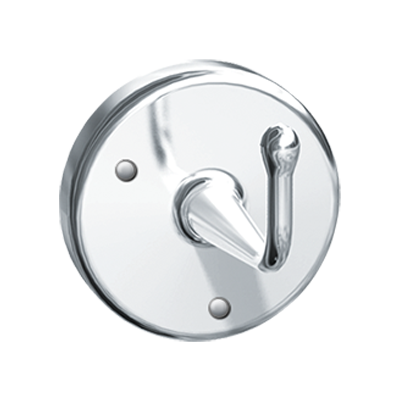 Three (3) 7/32″ diameter (Ø5.6) countersunk holes provided for anchoring hook to wall on 2-3/4″ diameter (Ø70) flange. Hook is capable of supporting over 300 lbs. (136.1 kg) when property attached to building element.